Here we share official and custom LG Nexus 5X firmware download. LG Nexus 5X is an interesting device because it is still supported by Google. It means that the smartphone receives latest Android updates. Right now, you can install the latest version Android 7.1.2 and use the newest functions. We found both official and custom LG Nexus 5X firmware. It allows to choose the most suitable for you. We provide direct links to LG Nexus 5X firmware download on Google website that you did not have to search for them on Internet. If you like the advanced Android settings, then you should install custom firmware. We found some interesting firmwares based on the latest version of Android 7.X. You can google the name of the firmware to find out more details about the developers and features. We install custom firmware through TWRP. Now let's look at a complete list of official and custom LG Nexus 5X firmware download. 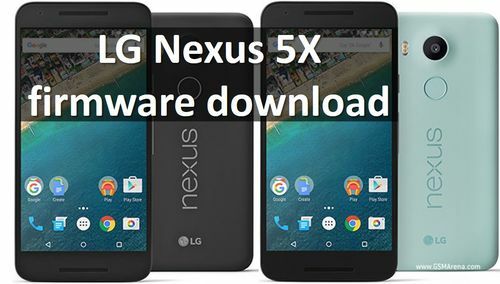 You can download official LG Nexus 5X firmware on Google website. Go here and find "bullhead" for Nexus 5X. There is the latest official firmware Android 7.1.1 (February 2017), as well as older Android 6.0. The instructions how to install LG Nexus 5X firmware can be found on Google website by link above. Please, write the comments below if some links LG Nexus 5X firmware download don’t work. We will ad new links. Thanks!